Valentine’s Day is next week, and you may be planning an extravagant and expensive surprise for your sweetheart. But wait, you could be stepping on a relationship landmine. Days ago, we reported there is a significant disconnect between what couples spend on Valentine’s Day and what their partner expects. Now there’s research that suggests going overboard is not just bad financially, it could be a relationship killer. 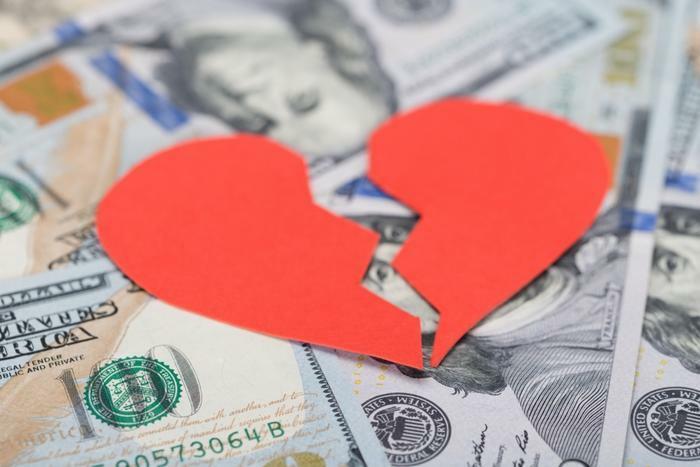 Personal finance site WalletHub conducted a survey of couples and their Valentine’s Day spending and came up with this shocker: nearly half -- 46 percent -- said they would break off the relationship if their significant other spent irresponsibly. That’s in line with previous research that shows couples are placing renewed emphasis on financial stability, seeking a partner who knows the value of a dollar and spends it wisely. But that could backfire, warns Abigail Schneider, an assistant professor of marketing at Regis University. She says women tend to place greater emphasis on a man’s ability to provide, and financial prudence plays a big role in that. Since married couples are responsible for one another’s debts, financial compatibility has become more important in relationships. The results of a 2017 study by Bankrate showed that 42 percent of people would use knowledge of a potential partner’s credit score to decide if they would pursue a relationship. "It's probably not a great idea to ask for someone's financial history on the first date," Mike Cetera, credit card analyst at Bankrate.com, said when the study was released. "However, it's better to know if a potential partner has a history of bad financial decisions before the relationship goes too far, especially if you plan on making large purchases together or sharing bank accounts." Because of a growing desire for financially-responsible people to get together, there is now a dating site that matches couples based on their credit score. CreditScoreDating.com is like just about every other dating site except that members’ profiles include their credit score. Some people on both sides of the issue – financial advisors and relationship experts – believe money management is an important relationship topic that is easily overlooked in the first blush of romance. According to Marriage.com’s Top 10 Reasons for Divorce, money is second -- right behind infidelity.